Do You Like to Watch (Your Books)? But not every film ruins a book, of course, and many’s the movie I’ve seen that made me run out and read the source material (most recently, The Perks of Being a Wallflower. Anyone else love that one?). And it seems that thrillers and suspense novels are some of the most likely stories to be made into movies, probably because their pleasures so often translate across borders and languages. James Bond, amirite? When we were thinking about a range of authors to talk about this week, we had ideas that were all over the map, but I noticed that a number of them had also dipped their toes in the Hollywood waters. There’s John le Carré, for example: a masterful writer in his own right, but many of his books have made excellent movies, as well. 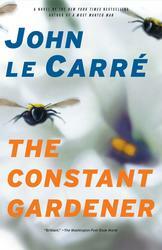 I loved The Constant Gardener from a few years ago, and of course Gary Oldman was impressive in that classic Smiley novel, Tinker Tailor Soldier Spy. 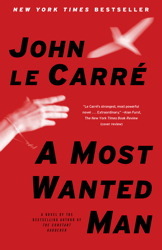 If you’re looking for a le Carré flick in the new year, keep an eye out for A Most Wanted Man, which takes an intimate and international look at the unexpected consequences of the War on Terror. But maybe you don’t go to as many movies as you used to. In my neighborhood, the ticket alone will run you $15 before you even hit the popcorn counter! Plus, our TVs have grown to such a size that you can snuggle up in your coziest PJs and watch whatever you want, whenever you want it–like a juicy potboiler of a TV movie. 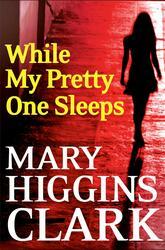 One writer who’s the Queen of Suspense could also be called the Queen of the TV Movie–author Mary Higgins Clark has had nearly two dozen films made of her books, which are regular bestsellers. I can certainly remember several from my grad school days–The Cradle Will Fall and While My Pretty One Sleeps for two. 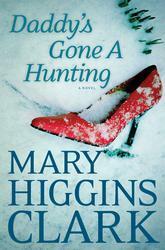 Think they’ll be making her newest book, Daddy’s Gone a Hunting, into a movie soon? Do you have a favorite suspense author? And do you prefer to read or watch your thrillers? Let us know in the comments…maybe we’ll find something new to read! A Russian Muslim with a large sum of cash arrives in Hamburg, Germany and is threatened with deportation. An idealistic young lawyer and a jaded British banker are determined to set him free. A beautiful woman is murdered in Kenya--but why? Her bureaucrat husband (ah, Ralph Fiennes!) is determined to find out. A mysterious explosion leaves one man dead and a woman in a coma...and only she can explain the blast's connection to a decades-old crime. Who killed the famous author? And why did she have so many enemies? One of MHC's most popular stories.